The large majority of goods imported to the US travel by either sea or land and only about 1% or even less of the total amount of imports do arrive in the country by air. This is because of the high cost of shipping goods to the USA by air. However, no matter how goods are going to be shipped in the US, there are quite a few costs that need to be taken into consideration in order to estimate the total shipping cost from A to B, including broker fees, terminal handling fees, packaging and container fees. On top of the added costs of shipping goods overseas, it also takes quite a bit of time for them o be delivered to the destination of choice. For instance, it takes about fourteen days for goods shipped from China to reach the W. Coast or thirty days in order to reach the E. Coast. To save money on shipping though, a lot of shipping companies will use slow steaming which means that the container ship is going to sail at a very low speed in order to save fuel. This is a great way to save money, since the shipping company can save more than 20% in terms of costs and also reduce its CO footprint by about forty three percent. 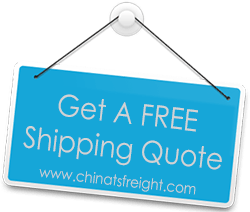 However, this type of shipping method adds about 10 days to the amount of time people need to wait for their goods to be delivered from China to the US. Goods that move across borders will not only require regulatory paperwork, but they’re also going to incur various costs. These can be easily overlooked by a lot of companies, especially when calculating shipping time and cost. Based on information from various authority sources online, the amount of time required to ship goods internationally can take as long as six days and a maximum eighty one days. The good news though is that the costs are still kept low when trying to ship items from China to the US and that is thanks to the various trade agreements between the two countries. China also subsidizes shipping which translates into more savings for the shipper. For instance, it takes about 6 days in order to export goods from China to the US, a mere 3 types of documents are required and the total cost per container is just 1224 dollars.